What are they planning for the Calais jungle?/ Que prévoient-ils pour la jungle de Calais ? The Calais jungle may not have more than a few months left. What then? 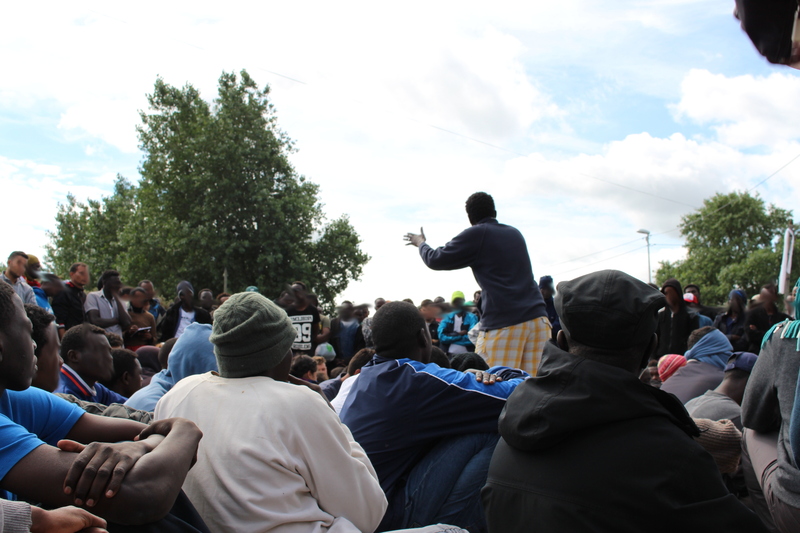 Back on 31st August, French prime minister Manuel Valls visited Calais and announced his new plan. 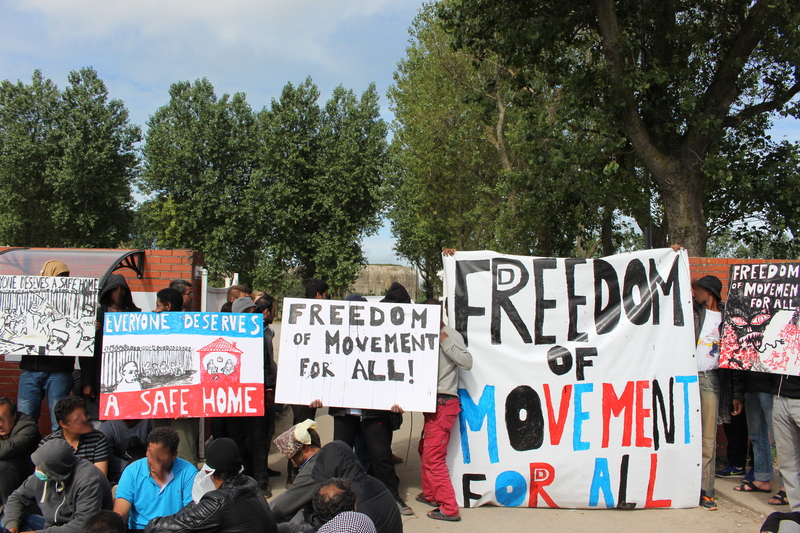 For the first time since the Sangatte camp was closed in 2003, under pressure from the British government following a right-wing media blitz, there will be again an official refugee camp in Calais. It will have spaces for 1,500 people. Two organisations drew up rival proposals: the Red Cross, which ran Sangatte back in the day, and La Vie Active, which runs the current Jules Ferry day centre. Now the local Calais press has published the latest news: La Vie Active is the winner. They will build the new camp out of 125 containers. It will be “200 metres from the Jules Ferry day centre, along the Chemin des Dunes”. It’s not 100% clear, but this seems to mean it will be on the site currently taken up by the jungle. The first containers are supposed to be in place in December, although the camp will take some weeks or months to finish. There are probably over 4000 people living in the jungle at the moment. Numbers continue to grow. 1500 places will not be enough. The current rumour, not confirmed, is that places will only be offered to those who agree to apply for asylum in France and stop trying for England. But what will happen to the other thousands of people? If the plan was mass deportation, this seems to have failed already: all those recently arrested and threatened with deportation to Sudan, in contravention of European Court of Human Rights judgements, have now been released. Will some of the jungle be allowed to remain next to the official camp? Or will we go back to the old pattern of constant attacks, harassments and evictions, as people without papers are again chased from one squat or makeshift camp to the next? Another big question is: how will the authorities “persuade” the people now living in the jungle to clear out so they can build the new official camp? 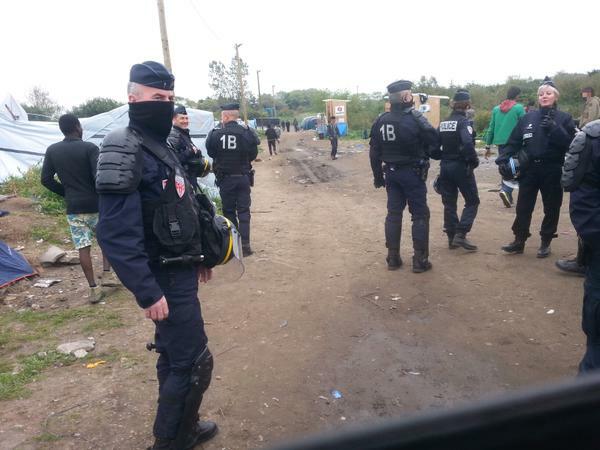 This will be far from the first mass eviction in recent Calais history. But it could be on an altogether different scale and intensity from anything seen before.